The Opticon PX20 has reached end of life. It has been replaced by the Opticon OPN3002i. 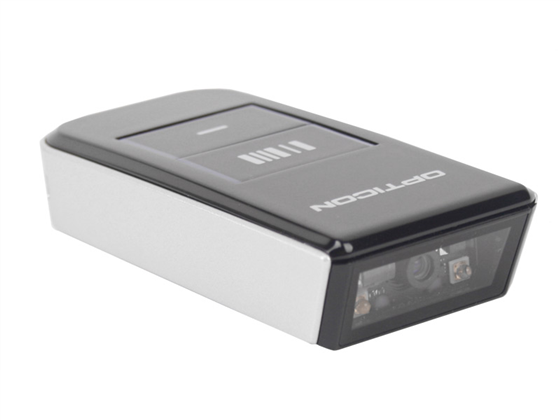 The Opticon PX20 companion scanner is a small and powerful way to add 2D scanning to your mobile POS or inventory management applications. Compatibility with a variety of host devices makes this a versatile addition to a variety of retail or business environments. One of the smallest 2D scanners on the market, the PX20 fits easily in any pocket. The depth of field is solid enough to get accurate reads with minimal fuss, great for novice users. The scanner uses a Bluetooth 2.1 radio for communications, allowing you to pair with mobile computers, laptops, or even iPhones and Android smartphones. Opticon built the PX20 to handle the use and abuse that happens in mobile POS and other mobile scanning applications. The scanner is reinforced to withstand drops of six feet to concrete, so a knock out of a pocket won't slow it down. It also sports an IP54-rated internal seal, meaning dust and water splashes won't harm internal components. A 2-year warranty is standard, making this a great addition to any mobile scanning or inventory application. Find it faster! Click here to compare PX20 models by feature.